You offer your clients beauty and sophistication when they visit your salon or restaurant, so why not let your menu and price lists do the same? A sophisticated menu that tells your customers they are in the right place. You offer your clients beauty and sophistication when they visit your salon or restaurant, so why not let your menu and price lists do the same? A sophisticated menu that tells your customers they are in the right place.Our products are printed on heavy card for a quality impression. Add lamination and they can be wiped clean easily and look breathtakingly professional. Salon and restaurant menus are available in reduced quantities to suit your needs. 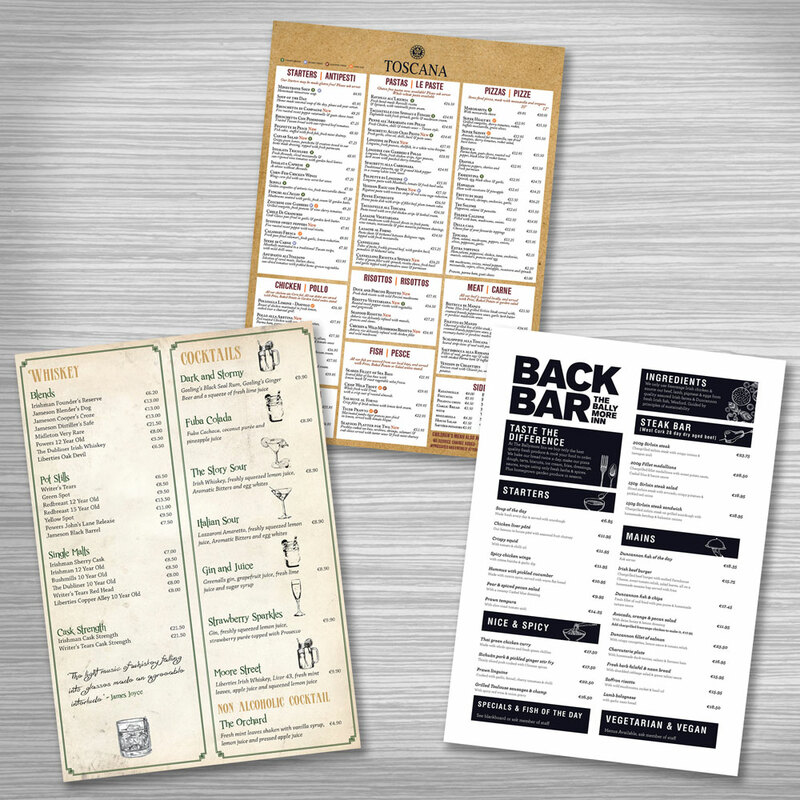 Before you print your takeaway menu, establish as best you can how many you need. Our experience tells us that restaurants change their prices every six to twelve months. You do not want to see the majority of your takeaway menus go in the bin because of outdated prices.